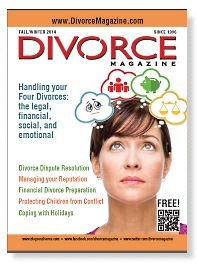 Divorce magazine is a full-color publication focusing on the unique needs of people going through a divorce, addressing all the issues that come up before, during, and after the breakup of a marriage. Published since 1996, the parent company offers two print issues annually, which are available for purchase in major population areas or by subscription. Beginning in 2013, the company started offering a digital edition of the publication which can be read online, making it much more accessible to individuals in less populated areas. And we are proud to offer our visitors easy access to this information. 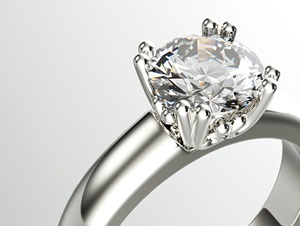 Feature articles covering the main issues of divorce. For example, past edition have discussed such topics as dealing with your negative thoughts and transcending your divorce, the effect of parental alienation, establishing your new financial identity, and more. Commonly asked divorce questions such as what to expect from a divorce lawyer, how to work with various divorce professionals, understanding the grounds for divorce, etc. 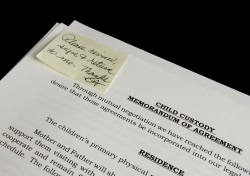 Advice, tips, and insights to help you survive the divorce, including understanding the various options to arrive at an agreement, dealing with the financial aspects of separating your lives, and helping your children cope with the changes. Essential divorce information. There is also a section featuring articles to help you understand the basic divorce process and how to choose the various professionals who can help you navigate the legal and financial waters. 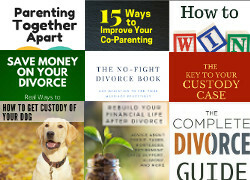 There are also tips to help you deal with co-parenting struggles and inspirational pieces to help you recover from your divorce. Real life stories from the trenches. You can also read through various real life stories submitted by other people who have gone through a separation or divorce. It helps to read about other people's experiences and realize that what you are feeling is normal. Finally, there is a section to help you find divorce professionals in your area who can help you work through all the issues that can come up. Plus, you'll find information on how to participate in monthly divorce teleseminars set up to help educate and empower you throughout the divorce process. This is a really worthwhile publication and it is now being offered at no cost to our visitors. You can read through the latest issues of the Divorce Magazine (in PDF format) by clicking on the link below. To save the file to your computer, you can right-click on the link and choose the "Save Target As" option. I hope you enjoy it!